This is the seventh installment of our blog series a Year in the Life of an Estate-Grown Pecan Farm. 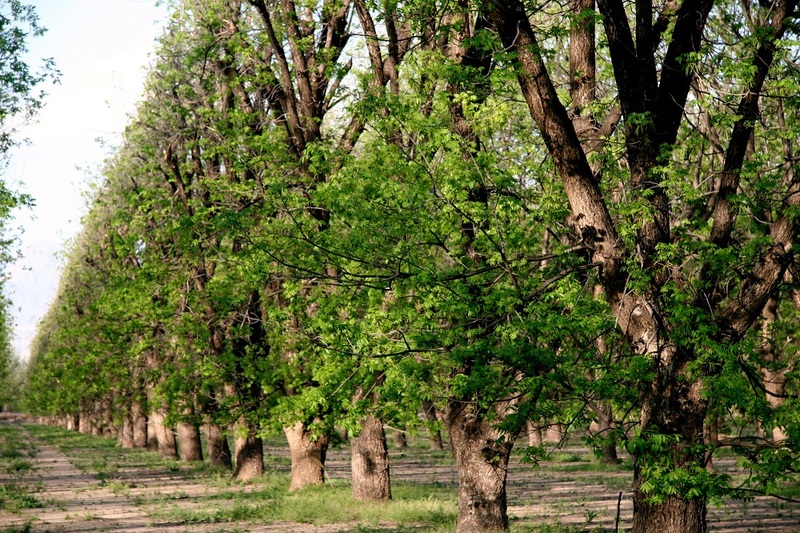 This series provides you behind the scenes look at Stahmanns Pecans, one of the largest pecan farms in New Mexico. This series will also include details about the harvesting of the fresh pecans to get them ready for commercial and industrial markets all over the world. 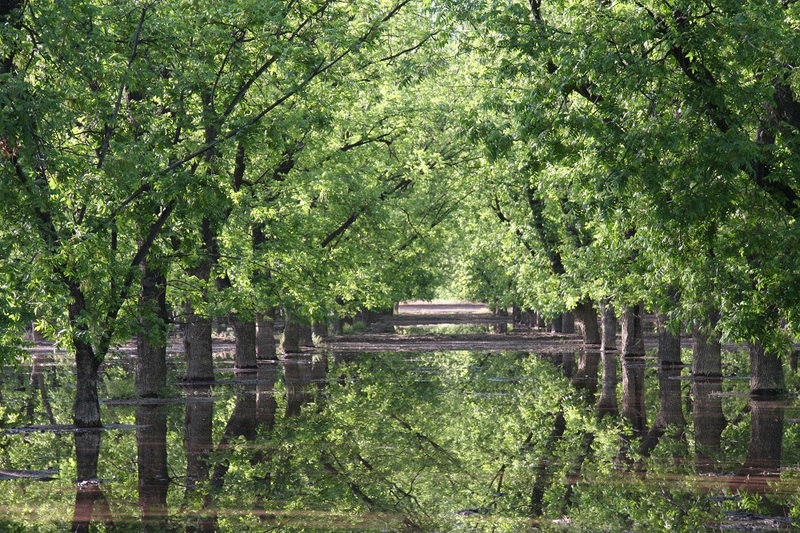 If you missed Part 6, of A Year in the Life of an Estate Grown Pecan Farm, check it out here. In April, the warmer spring breezes cause the trees to sprout new buds and leaves. Once these buds and leaves appear, we begin spraying zinc on the trees to promote growth of the trees this year. We also begin applying fertilizer to help promote leaf growth. Later in April, the trees begin to flower and pollination occurs. Because Wichita pecan trees are self-pollenating, we do not need to depend on bees and other pollenating insects to help the process along. The winds coming out of the West are enough to help pollination occur. 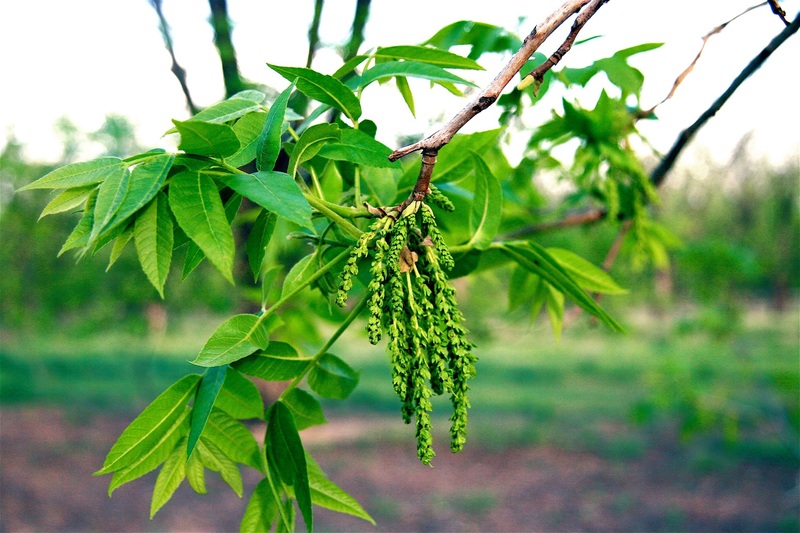 By the end of April, you have a good idea of how good the year’s crop will be based on the pollination and the beginnings of pecan nut growth. Looking for Raw Pecans for Sale?